Friends of the Boulder City Police Department recently donated a collection of around 275 patches from law enforcement agencies around the world. Some of the patches date to the early 1960s. They were recovered from the police station when some remodeling was being done and were sitting in storage. 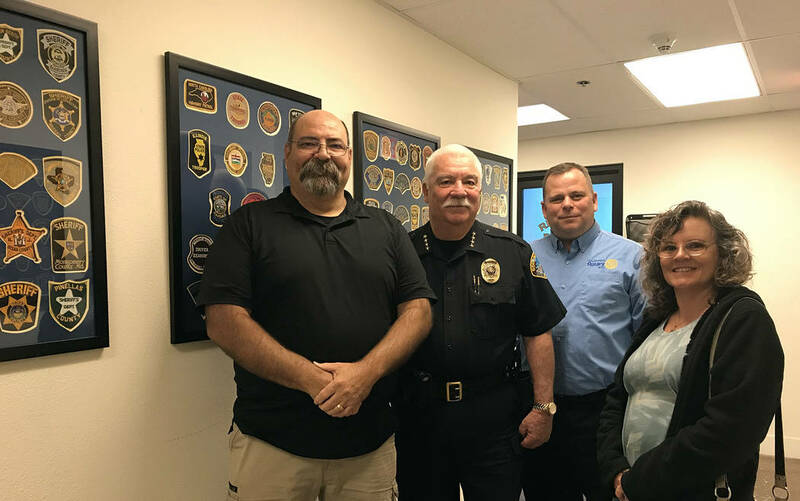 Here, Police Chief Tim Shea, second from left, accepts the patches from Friends board members Dr. Larry Smith, president, far left, John Chase and Marcela Fastow on Friday. 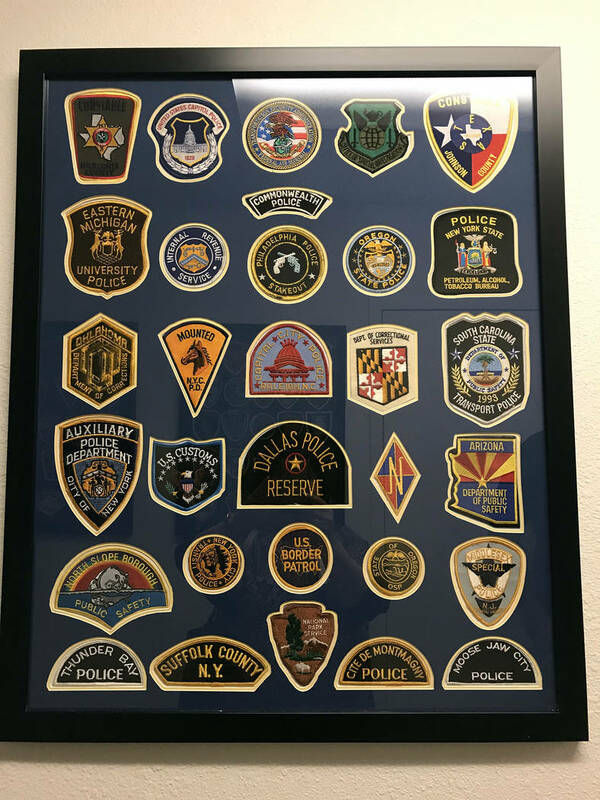 (Hali Bernstein Saylor/Boulder City Review) Friends of the Boulder City Police Department recently donated a collection of around 275 patches from law enforcement agencies around the world. Some of the patches date back to the early 1960s. They were recovered from the police station when some remodeling was being done and were sitting in storage. Here, Police Chief Tim Shea, second from left, accepts the patches from Friends board members Dr. Larry Smith, president, far left, John Chase and Marcela Fastow on Friday, March 29, 2019. (Hali Bernstein Saylor/Boulder City Review) Friends of the Boulder City Police Department donated a collection of law enforcement badges that had been in storage. The group had the badges mounted and framed; they now hang in a hallway in the Boulder City Police Department. Friends of the Boulder City Police Department donated a collection of law enforcement badges that had been in storage. The group had the badges mounted and framed; they now hang in a hallway in the Boulder City Police Department.